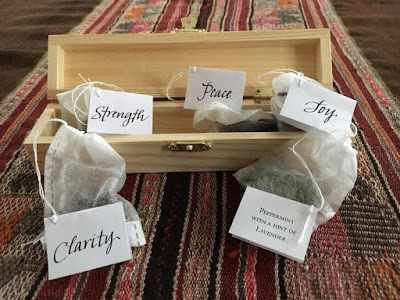 My daughter and I made tea bags for Christmas gifts last year. 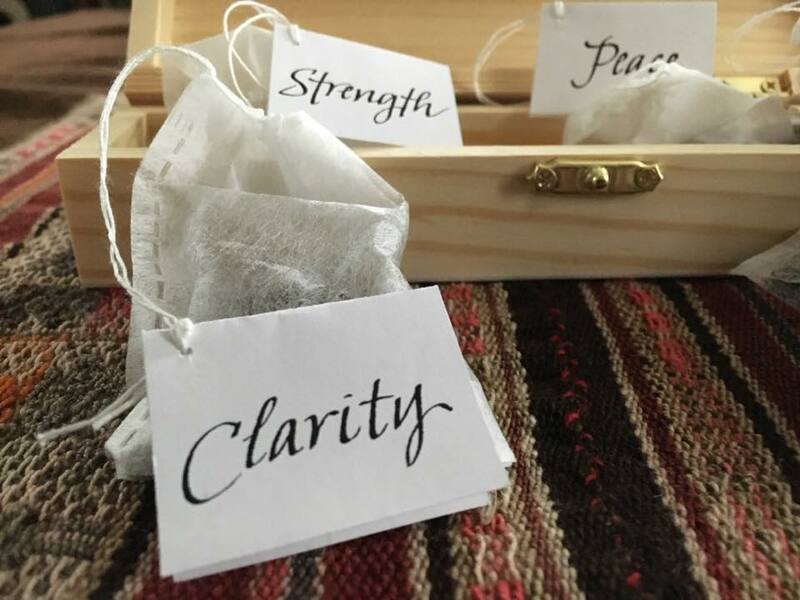 She found the drawstring tea bags online, I did the lettering and design, and we filled them together. My first thought was to write out quotes but I didn't want the lettering to be so small so I chose words instead. As we were both thinking about, and not looking forward to, making origami boxes to hold the tea bags, I found these wooden boxes at Artist and Craftsman. Much easier! I've heard that some recipients are drinking the tea and others are admiring the tea bags in the box.